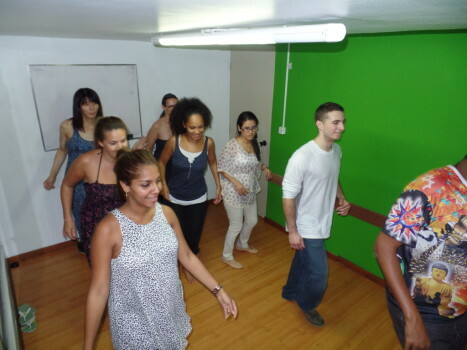 Portuguese students at Samba Class. 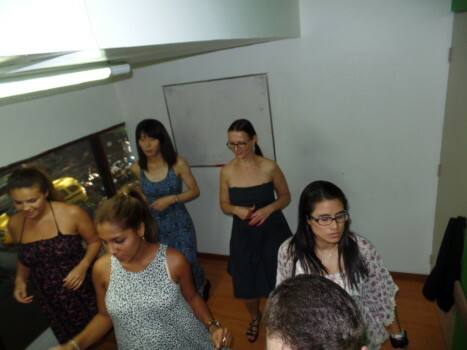 La practica de samba fue una maravillosa experiencia nos permitió conocer una tradición brasileña e interactuar entre alumnos con el fin de mantener una mejor comunicación. 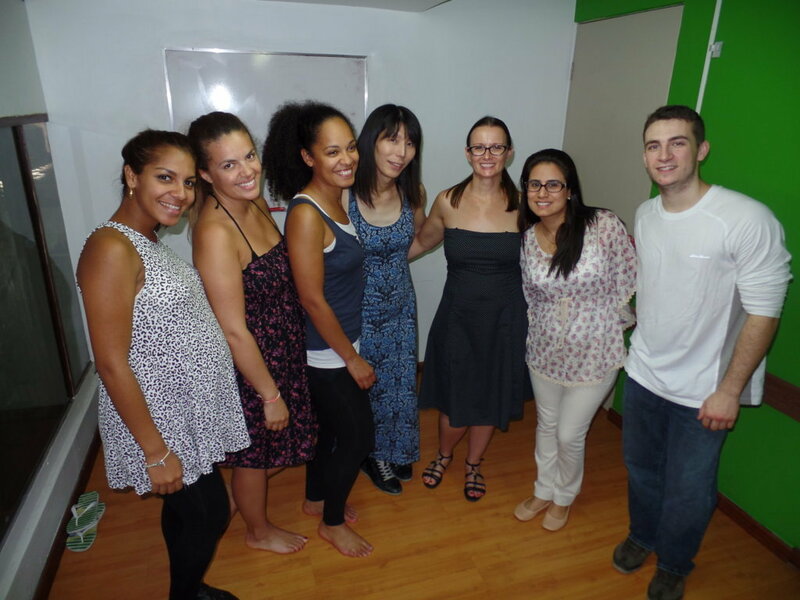 Muy agradecida con el profesor Castro por tanto apoyo y colaboracion pues ademas de ejercitarnos nos permitió relajarnos y disfrutar de una hermosa actividad. 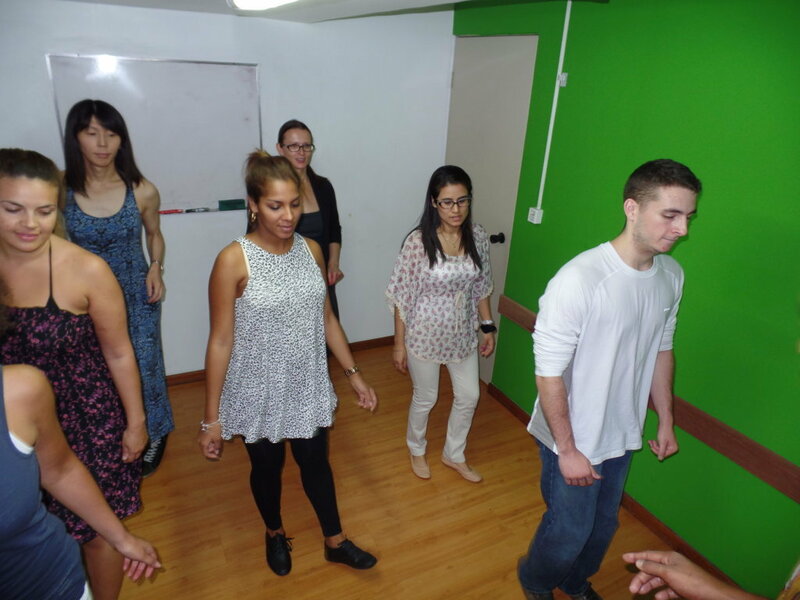 Recomiendo a próximos alumnos participar de dicha actividad. Muy agradecida! Let’s dance samba?! In one more nice afternoon of sun in Rio de Janeiro, we gathered at Rio & Learn Portuguese School to have a great samba class. 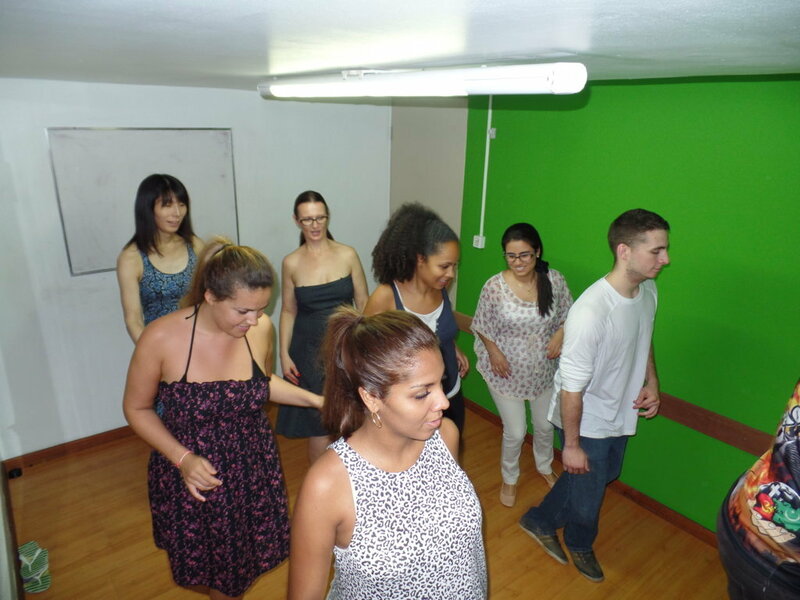 Our Portuguese students from USA, Cuba, Belgium, France, Peru and Japan had the opportunity to practice a little bit of this very popular Brazilian rhythm. 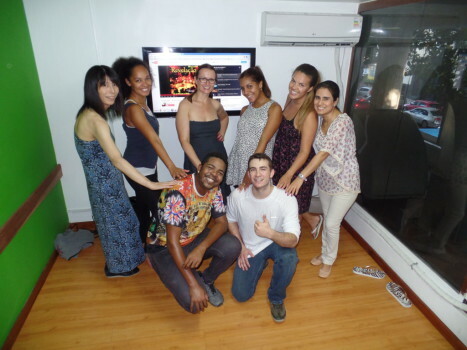 The students also had the chance to ask many questions about samba’s moves, styles and history. 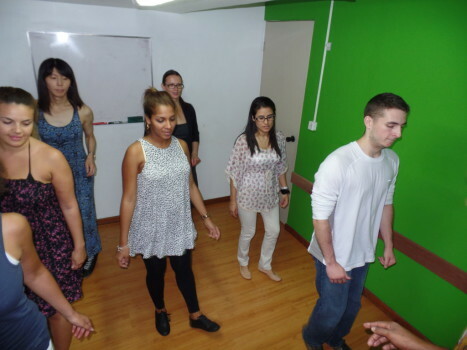 After a lot of effort, the first steps started being practiced. 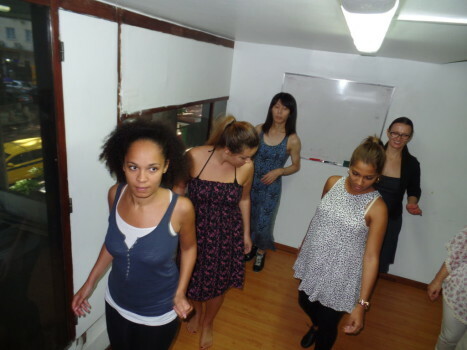 They were really happy practicing it. 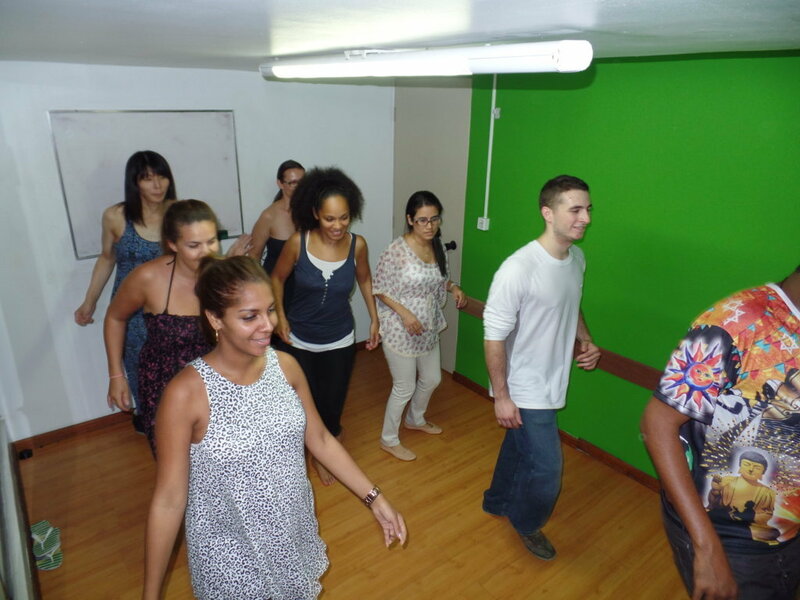 In the beginning they thought it was really hard, but with time passing by, their confidence increased and they even had the guts to take part in a roda de samba. It was a great opportunity to practice Portuguese and have fun at the same time. 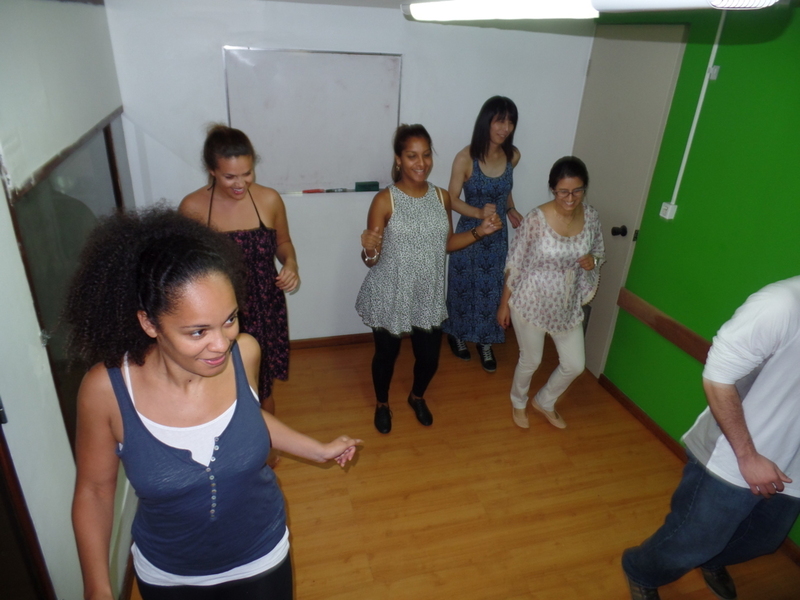 And you if you are looking for it, learning Portuguese but having fun at the same time, Rio & Learn is your place taking part in our RioLIVE! Activities!